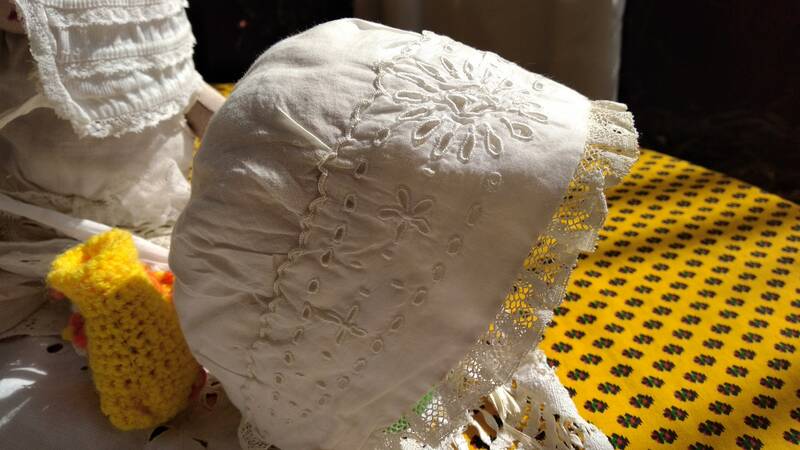 Lovely Victorian Baby Bonnet Lace Trim- French hat floral cut outs hand embroidered. 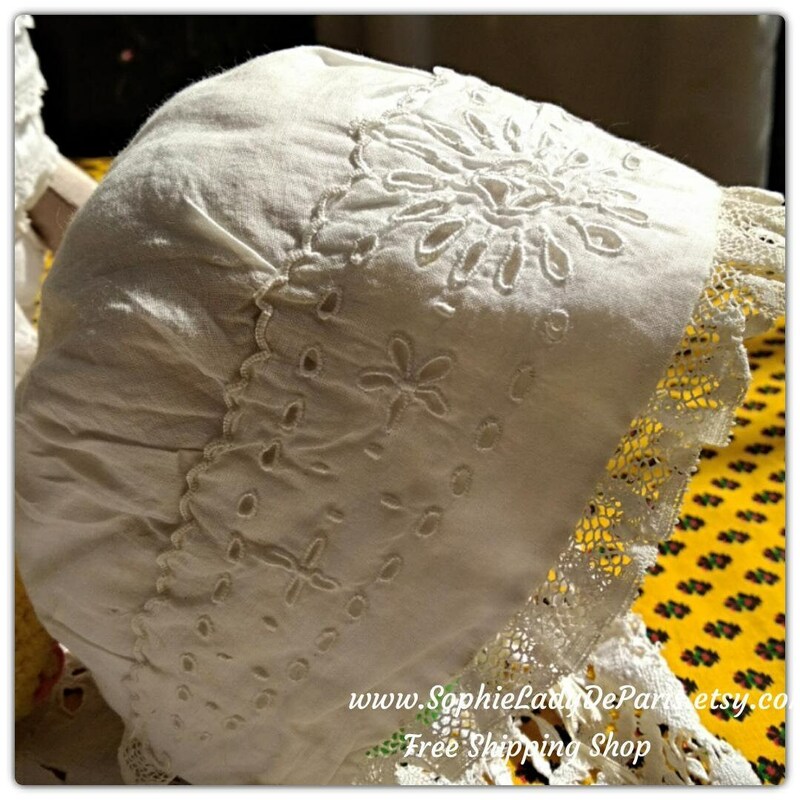 White cotton lined. 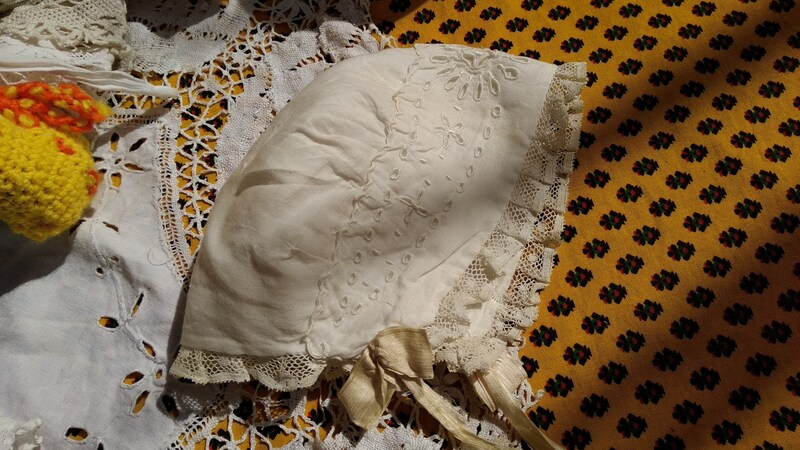 Parts of yellow silk straps were remaining but damaged. 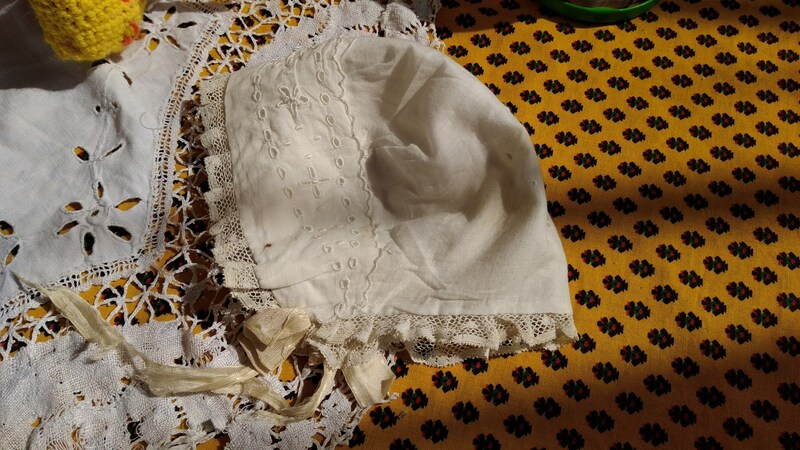 Good Vintage condition for its age . 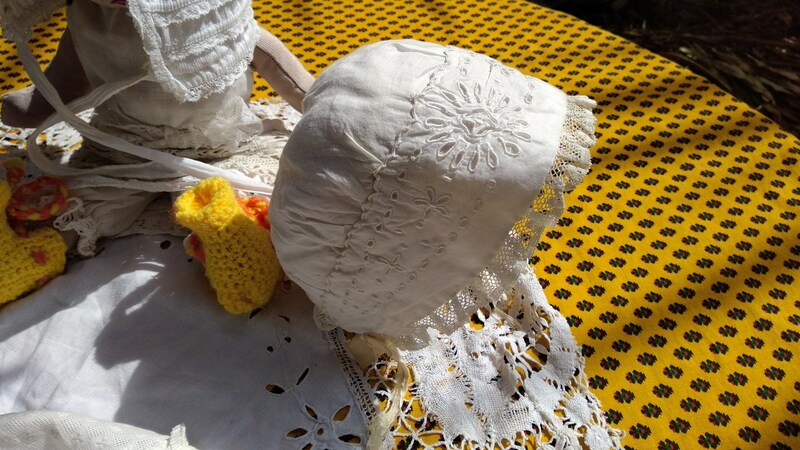 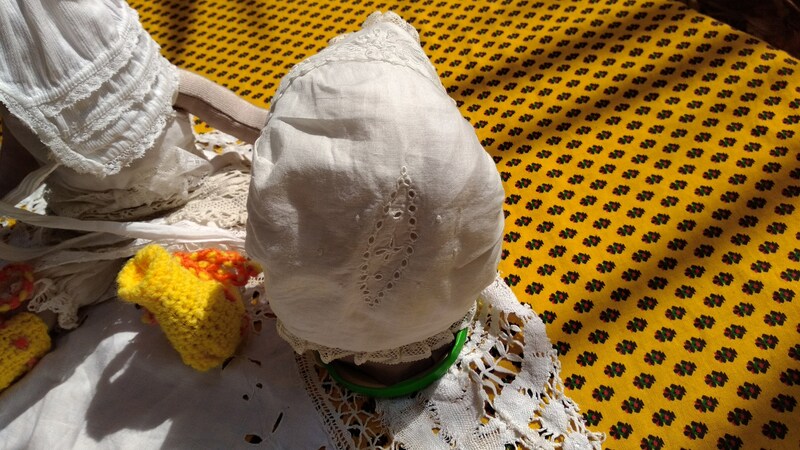 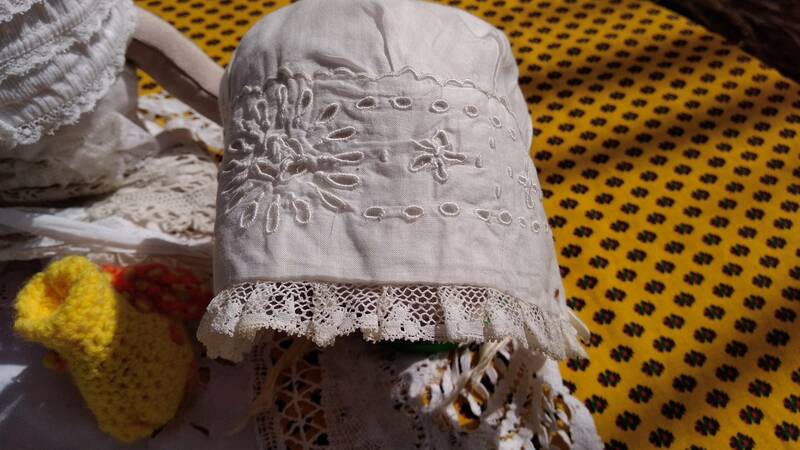 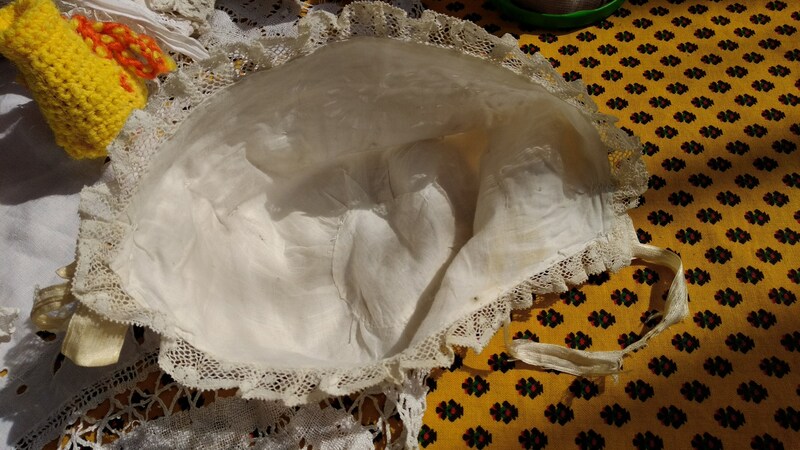 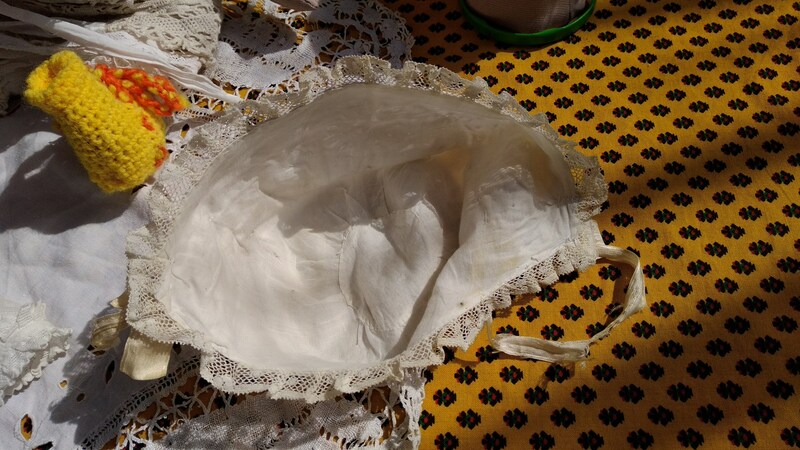 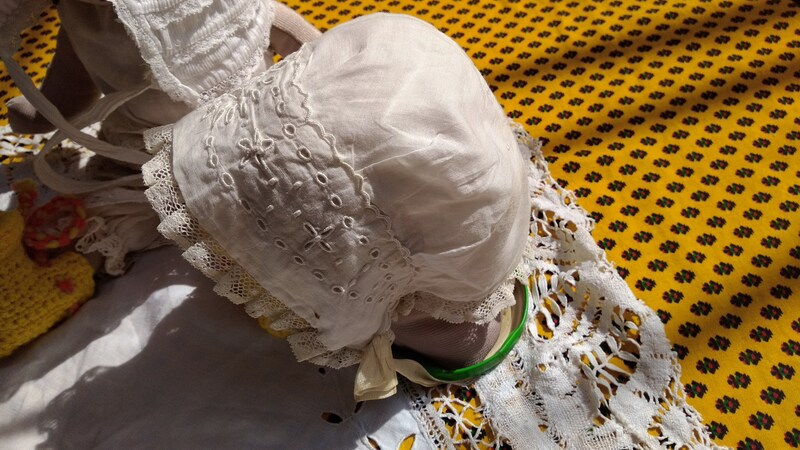 Gorgeous Antique French baby bonnet or doll's hat !